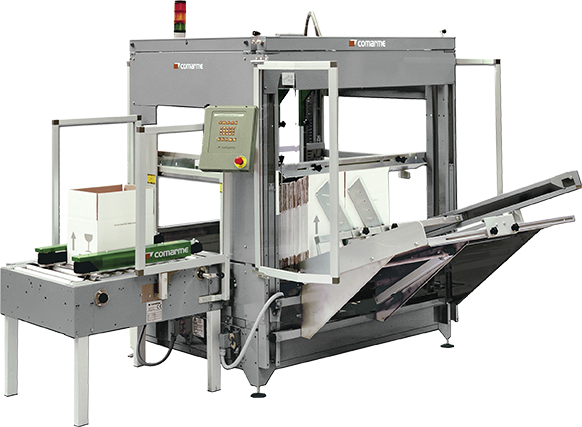 Fully-Automatic Carton Erectors automatically prepare the boxes with the 4 bottom flaps folded, taking them from the side magazine. Once the carton is formed, it is automatically closed and applied with tape from the bottom, then sent to the filling line. A Carton sealer could then be installed after the filling operation to tape the upper flaps.